Orchids can be classified into 3 groups depending on their requirement of light. The high (3,000 foot candles), medium (2,000 foot candles) and low (1,000-1,500 foot candles). Generally most orchids require plenty of light – not direct light, preferably 6 hours per day. Orchids are tough and can handle more or less of their recommended light. 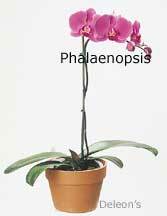 Caring for orchids is different depending on the orchid type – Phalaenopsis orchid care is different than growing Vandas. Providing more light will enhance the flowering potential. Less light will prevent the plants from flowering but they still grow. Leaf color is one of the best ways to determine if your orchid plant is getting enough light. How to care for orchids indoors is also different in that houseplants may look best with dark green lush leaves but that’s not generally true for orchids. Leaves that are dark green are attractive but are a sure sign of not enough light. Generally, orchids that have a grassy green in color means the plant is receiving enough light to bloom. Forgetting all the foot-candle measurements, below is a simple way to figure out if you have enough light. Place your hand six inches above the leaves and look at the shadows cast. No shadow at all = the light is insufficient for your plant to flower. For natural light on moth orchids, your best bet will be a southern or eastern facing window – but never direct sun!. The afternoon temperature can be too hot in a western window and the northern window is usually too dark. Too much sun can bleach out the leaves and cause sunburn, eventually turning black. It may be necessary to move plants around as the season changes or to regulate the amount of light. A sheer curtain can also provide for some light shade. Fluorescent grow lights (artificial lighting) are excellent. You can provide sufficient light with 4 fluorescent tubes in one fixture placed 6"-12" over the leaves, for 12 to 16 hours per day. 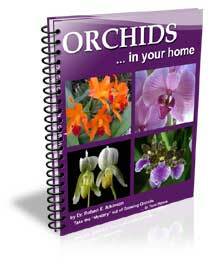 Orchids that are growing and do not flower often require more light. 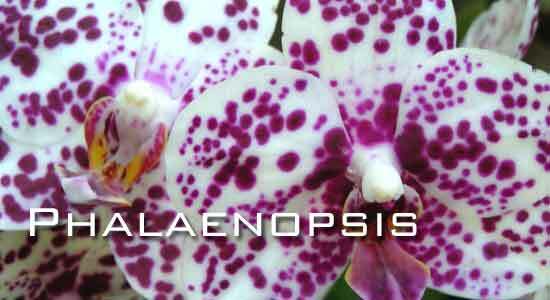 Potting or repotting of your phalaenopsis is usually done in the spring.